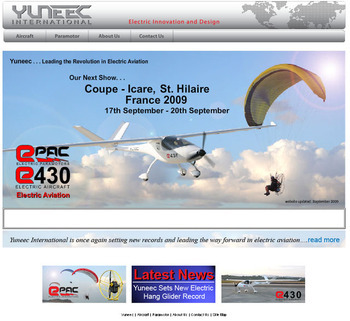 " Yuneec International are proud to introduce the E430 the world’s first commercially produced ‘Electric Aircraft’. 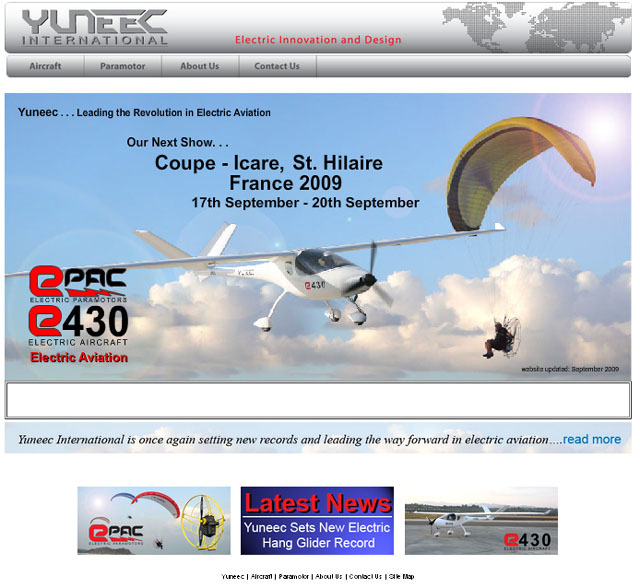 Electric flight, once seen as futuristic, has arrived and with E430’s flight times of between 1.5 and 3 hours (depending on configuration) electric flight now becomes a realistic power source for sport aviation. Charging times of 3 hours for as little as $5 make electric a really low cost way to fly and with only 2 main moving parts in the motor (the bearings) the reliability and maintenance are like nothing seen before.